Our lab has been involved in a multi-state effort to develop management strategies for various grapevine trunk diseases. For more information, click here to visit our project site , which is also maintained by Mizuho. 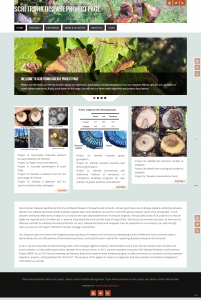 Check out the items under “Extension” for various grapevine trunk disease management tips as well as a web application for trunk disease identification aid.